CLOSEOUTS. 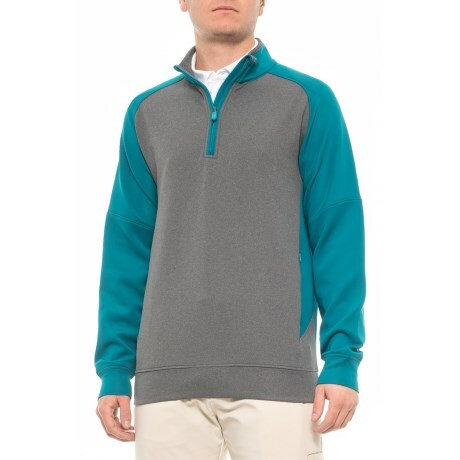 This Rule 18 by Bobby Jones Chapman Tech shirt delivers light layering warmth and keeps you dry and comfortable with its wicking performance fabric and movement-friendly design. Available Colors: SANTORINI. Sizes: S, M, L, XL, 2XL.